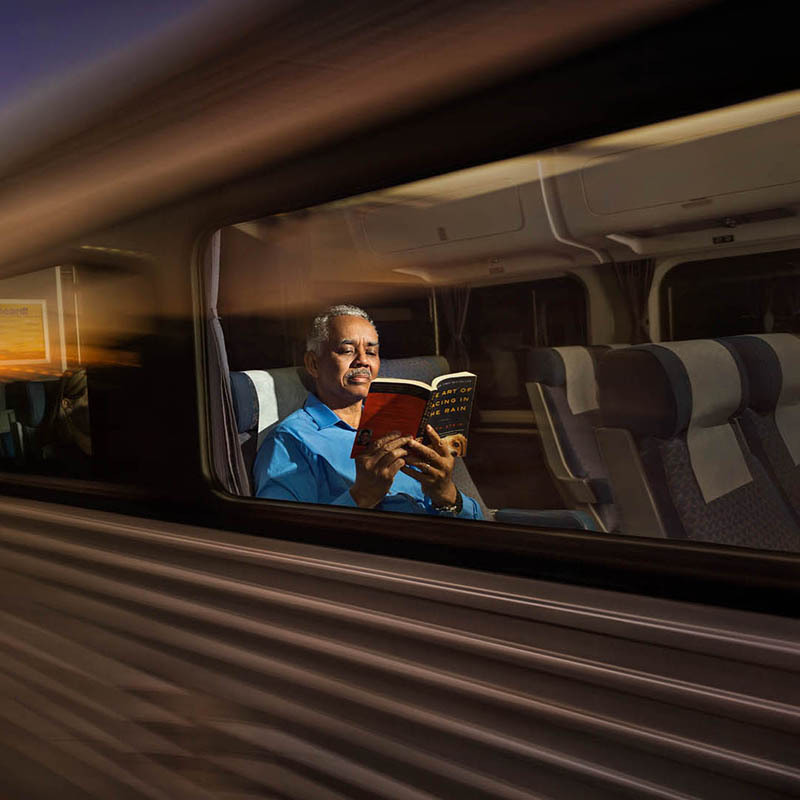 Capitol Corridor offers designated Quiet Cars on select weekday morning trains. A designated Quiet Car will be available on the following morning trains only: 520, 521, 522, 523, 524, 525, 527, 529, and 531. Look for posted signs that indicate which car is the official Quiet Car aboard the train, or ask your conductor. Passengers traveling in designated Quiet Cars are asked to respect their fellow travelers. If you choose to sit in a Quiet Car, please refrain from conversation with other passengers, talking on your cell phone and typing. Headset volume should be set to low and electronic devices should be kept on mute or silent. Please occupy only one seat and stow your belongings overhead or in the luggage bins. Please note that this amenity is a courtesy service provided to our passengers, and is subject to change. The Conductor may elect at any time to change the status of the Quiet Car for the safe and efficient management of the train. We apologize that our equipment restraints make it impossible to designate a Quiet Car on every train, but it is our intent to restore Quiet Cars on all our trains when we receive more passenger cars. Thank you for your cooperation and understanding. Please no cell phone use, game devices, or loud conversation on the Quiet Cars. Headset volume should be set to low. Also, please set any electronic devices to mute or silent and refrain from typing. We appreciate your cooperation. Questions? Please ask the conductor.